Toy camera fans, film shooters and DIY nerds – you’re gonna love the Last Camera plastic 35mm camera kit! Adobe Lightroom 5.3 software update is available. 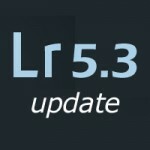 Visit our Lightroom 5.3 announcement page to learn more and to download the update. If you’ve been wondering how exactly the “built-in Wi-Fi” in digital cameras works, and what it actually does, this demo video will tell you everything you need to know. 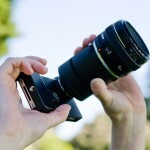 Event photographers – need to carry and use two DSLRs at the same time? 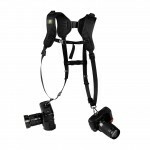 Check out this Featured User Review for the BlackRapid DR-1 dual camera strap system. 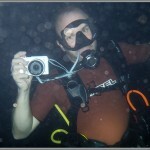 We took Nikon’s new AW1 waterproof mirrorless camera diving to test its underwater capabilities. Check out the video we made to find out if it survived. 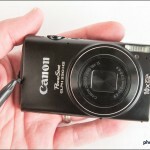 We keep recommending the Canon PowerShot ELPH 330 HS Wi-Fi pocket superzoom, and putting it in our buyer’s guides. 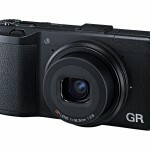 So we figured we’d better write a review to explain why we think it’s such a great little camera. A new Canon mirrorless camera was announced this week in Japan. 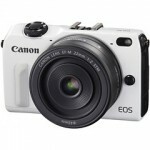 The Canon EOS M2 has an improved auto focus system, built-in Wi-Fi and a slightly smaller body. New Featured Member Photos are posted! Check out SmartWombat’s “Helping Hands” photos, some African wildlife from DennisT, basketball action by dhyravy, and a great sunset photo from armando_m. 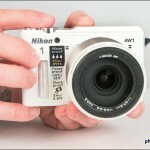 Could the Nikon AW1 be the ultimate outdoor action sports camera? Check out our hands-on preview of Nikon’s new waterproof, interchangeable lens camera. 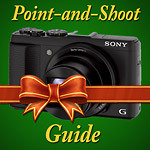 Our Holiday point-and-shoot guide has ten great cameras starting from just $150. 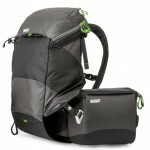 There’s a camera here for everyone – outdoorsmen, serious photographers, travelers and casual point-and-shooters. 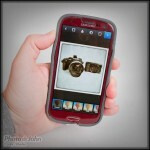 The iPhone SLR Mount let’s you attach Nikon or Canon SLR lenses to your iPhone. Is this a good idea or a bad idea? Read the article and let us know what you think. 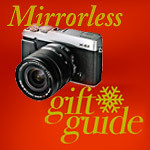 Our Holiday mirrorless camera guide is complete! Check it out to find out about some of the coolest and best interchangeable lens mirrorless cameras for this Holiday season. Everyone loves digital SLRs and our Holiday DSLR guide features a few of the best, with options for every level of photographer and every kind of budget. 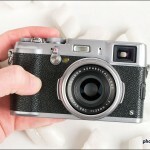 Photo-John’s full review of the Fujifilm X100S is complete. 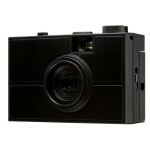 Read the review to find out why this fixed lens rangefinder-style camera is so popular. 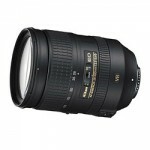 Nikon’s AF-S 28-300mm VR zoom lens is a great all-purpose / travel zoom for full-frame DSLR owners. Check out this review by footloose-photography to learn more about it. 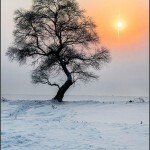 Our mid-November Featured Member Photo picks are up! There’s nighttime skate park action, a couple of landscapes, and a critter photo from New Zealand. 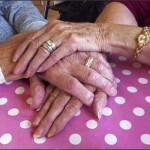 Check them out and post some of your own photos! 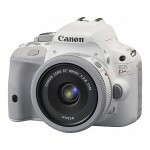 The recently teased Canon DSLR has been revealed – it’s an all-white version of the EOS Rebel SL1 / 100D digital SLR that was introduced this spring. 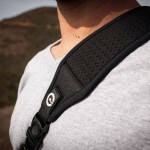 Kickstarter veterans Custom SLR are launching a new high-tech camera strap that’s lighter and more comfortable than the camera strap that came with your DSLR. With an f/2.8 prime lens, RAW manual shooting and a big APS-C sensor with no anti-aliasing filter, the Ricoh GR is a hell of a pocket camera. Outdoor photographers and anyone else who wants camera access without having to take off their pack need to check out MindShift Gear’s new rotation180° camera pack. Canon is offering a Dual Pixel AF upgrade for EOS C100 Digital Video camera owners. 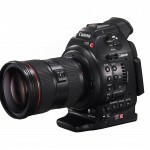 The upgrade adds continuous auto focus to the DSLR-based, pro-level video camera. 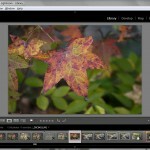 New Release Candidate software is available for Adobe Lightroom and Camera Raw. The updates include RAW support for the Nikon D610, Olympus OM-D E-M1, Sony’s new full-frame mirrorless cameras, and the Fujifilmfilm X-E2. 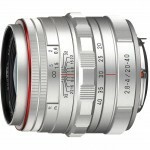 Is a new Canon professional digital SLR on the near horizon? A new Canon teaser Web site points in that direction. New 20-40mm f/2.8-40mm lens is the first zoom and the first weatherproof lens in Pentax’s premium “Limited” DSLR lens line. 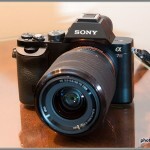 Check out our hands-on preview with Sony’s new ground-breaking 36-megapixel full-frame A7R mirrorless camera – complete with a big gallery of sample photos!